Mariners are advised that contractors Aspect Land & Hydrographic Surveys Ltd will be conducting hydrographic surveys of the CMAL harbour area at Largs Ferry Terminal, Firth of Clyde. Surveys are planned to be undertaken from a small workboat and weather permitting works are scheduled to be undertaken over 3-days commencing 31 October 2018. 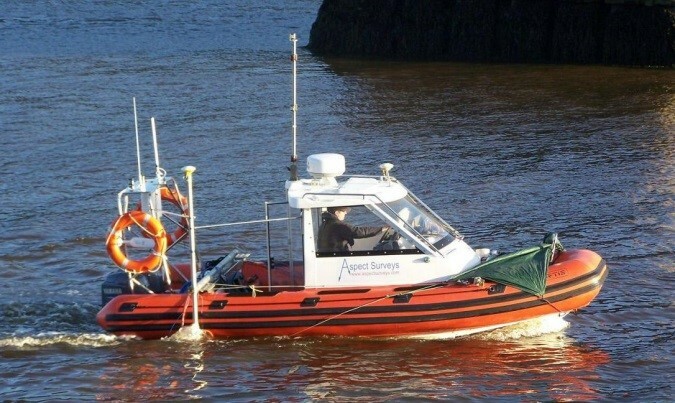 The survey team supervisor will monitor VHF channels 12 and 16 and will liaise with the Largs Harbour Manager and Masters of the CalMac ferries to ensure there is no disruption to scheduled ferry services. All vessels navigating in the vicinity of Largs Ferry Terminal during the period indicated above are advised to maintain a lookout for the survey vessel and proceed with caution, regulating your speed to minimise the effects of wash accordingly.